Who is the most Handsome Hollywood Actor 2017? This list is composed of handsome actors from Hollywood. We choose the most Handsome Hollywood Actors 2017 according to your votes. Choose your favourite one and vote for him! 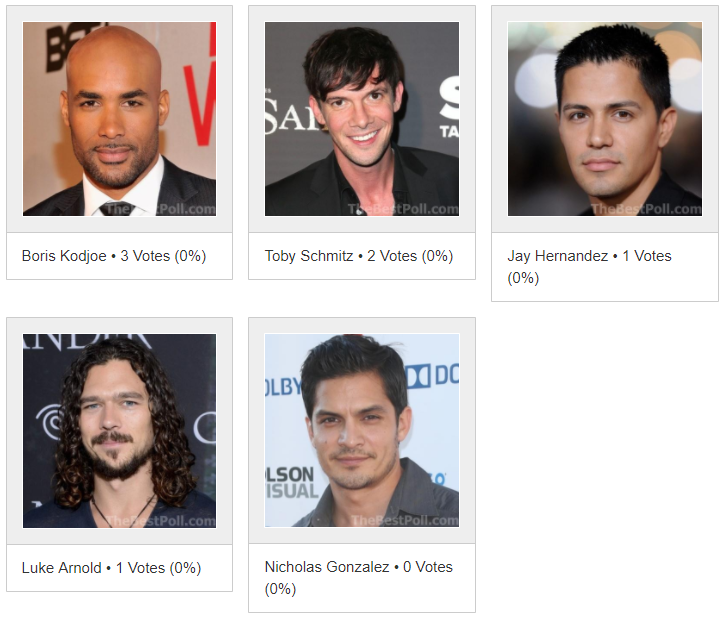 Mike Vogel needs to be on this list! Where is Colin Morgan for the God’s sake????? Yes, really….where is Sam Heughan????? Are you kidding me????? How could you not add him to this list???? He is on page 3. Sam Heughan the King of all Men is missing from your list!! What’s wrong with you? Sam Heughan, the best. Can’t believe he is not in your picks! Where is Sam Heughan who should win hands down? ?